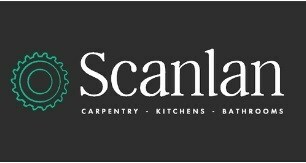 Scanlan Carpentry - Bathrooms, Bedrooms, Carpenter, Kitchens based in Caversham, Berkshire. I have had over 14 years experience working in carpentry in the Berkshire and south Oxfordshire area. I cover many aspects of carpentry such as hanging doors, flooring, making bespoke furniture, fitting skirting and architrave, decking, staircases... and more. one of my main areas is making and painting living room and bedroom furniture - cupboards, shelving and wardrobes. I also do full kitchen and bathroom refurbs from start to finish including project managing the entire job.. Please get in touch to discuss your needs.